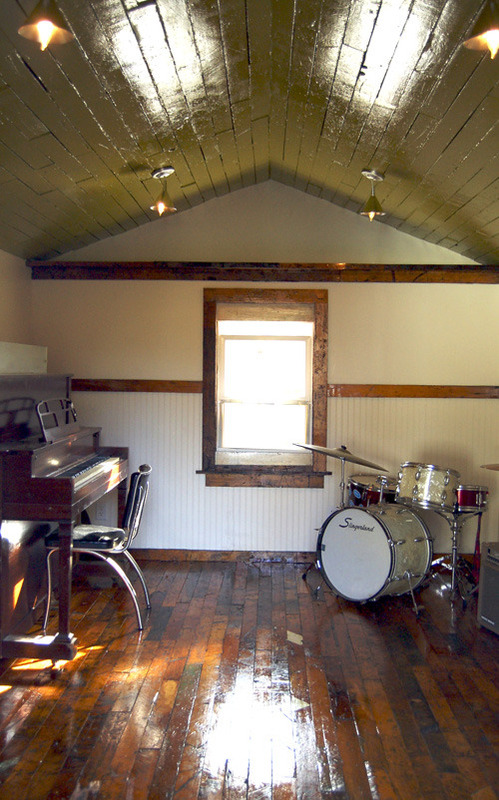 Our friends built out their detached storage shed into this beautiful music studio. Both Amanda and Bain play music and have kids, so it's a great place where they can turn up the volume while not waking the kids. My favorite feature are the floors and the wood trim. They are reclaimed wood that Bain acquired from Athens' local floor guy, Doug Booher.